We are on the brink of a huge milestone. Read the following or view our video on this campaign! 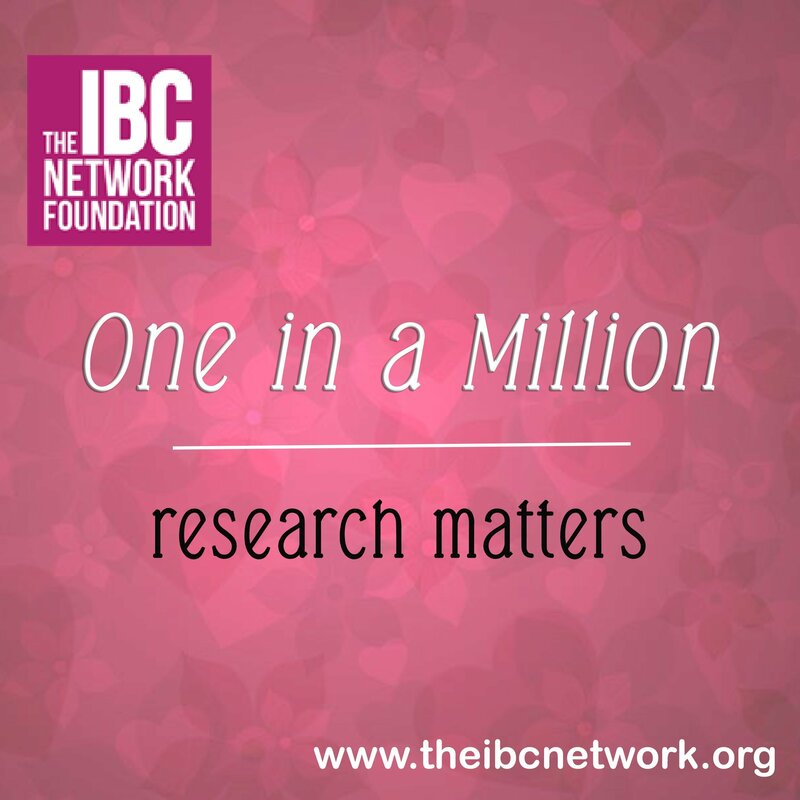 The IBC Network Foundation has put almost 1 million dollars into research! We have currently funded $850,000 into breast cancer research and we want to push it to a cool million, so we are asking for your help. The IBC Network Foundation is a grassroot charity, all volunteer ran and your donation goes far here. Help us hit a million $, be a “One in a Million” donor today. After you hit that donate button, then tell you friends and ask them to donate too. Let us share our mission. Research. Is that simple enough? It is our mission, our focus to stop inflammatory breast cancer by funding research. That is what we all want right? To stop breast cancer if it happens, or even better, learn what moves those misbehaving cells into action and stop it before it gets a grip on the body. We have funded at MD Anderson, Vanderbilt, Dana Farber and University of Delaware. We have researchers on standby, with wonderful feedback on their submissions to major funding research sources but even with an outstanding score, still are not funded. Common feedback is “this has the potential to be lifesaving work but we don’t have the funds for this now.” So, that is where we come in. We fund these small niche projects that are overlooked. Two projects we have funded to date have led to clinical trials. We are filling an important void as late stage research only gets on average less than 2% of all research funding. 2%…let that sink in for a minute. We would like to invite, encourage, or implore you to donate. By joining us, you are funding lifesaving late stage breast cancer research. Millions of women in the US alone are diagnosed with breast cancer. We all know someone, we have all lost someone. For them, for the future of all women, and men (remember they get breast cancer too) help us fund research. And for you, fighting breast cancer now, you are one in a million to us. Your life matters. A million dollars’ worth and more. You are why our charity exists! Please join us by becoming a donor. We want to celebrate getting to the 1 million mark. We will run this campaign from April 1, 2017 to May 31, 2017. But please act now, the faster we hit it, the faster we can flip it into research. To kick off the campaign, we have a donor who has offered to match the first $5,000 donated. So these first donations will count for double. Pretty sweet deal! Please donate here to see the meter move, or on our site, as it will all go to the same place, research! And please learn more about inflammatory breast cancer. No Lump Still Cancer.